Location: 19 Shudehill, Manchester, M42 AF. 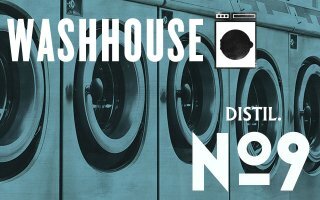 The Washhouse is well hidden away in Shudehill: dark, intimate, and about as secreat as it is possible to be when people navigate by smartphone: even when you do find it, you need to make sure you have booked in advance. 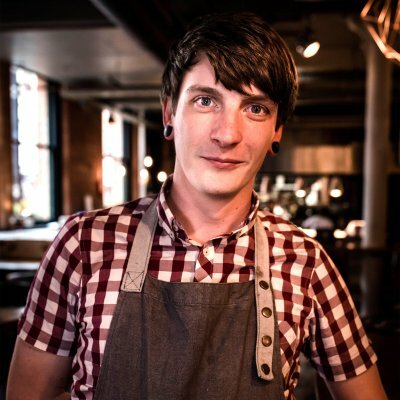 Chris Melville is in his element behind the bar here, with a license to push things forward to the limit, and his Gibson No.9 is a good example; a variation on a variation. The classic Gibson cocktail was itself a twist on a martini, but Chris has taken this to another level, with Stilton-fat washed Distil No9 vodka (it is The Washhouse, after all, combined with some of Stilton’s best tasting friends: Noix de la St-Jean, an astounding walnut-based vermouth from Provence, and apple shrub. 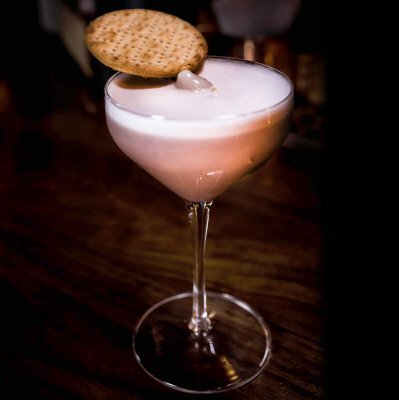 The addition of an egg white and a vigorous shake complete this highly original creation. Distil. No 9 is a modern interpretation of traditional craft Ukrainian vodka. The goal was to bring back the age-old style from vodka’s original heartland, western Ukraine, with a focus on the careful selection of local raw materials and the quality of the final product. The production of the vodka requires time, patience and even a share of luck, but most importantly - perseverance.